Cluster computer account and each node computer account should have R\W access to this share. 3) In “Select Servers” step add all your cluster nodes. Click Next. 4) Pass the validation, all test. Warnings regarding storage are OK – you’re setting up AlwaysOn, so you don’t have shared storage. 5) Specify cluster name and IP address on the next screen. If cluster account was pre-staged make sure to specify correct name (same as the pre-staged computer account name). Make sure to use IP, that was provided by customer and is 100% not in use. b) On the “Select Quorum Configuration Option” window select “Select the quorum witness”. Click “Next”. c) On the “Select Quorum Witnes” window select “Configure a file share witness”. Click “Next”. 1) Install SQL Server as a stand-alone instance. 4) Make sure to add SQL Server service account to sysadmins at each instance. This is required. 1) Open SQL Server configuration manager. 2) Select SQL Server Services in the left-side menu. 5) Click “OK”. Make sure to restart SQL Server service. 6) Repeat 1-5 on each node. 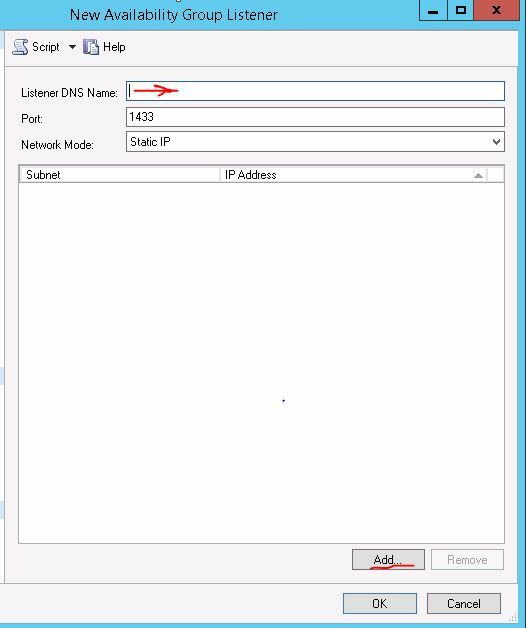 Please skip to the next part if you want to use separate NICs for mirroring traffic and user connections. 1) Open SQL Server Management studio and connect to the first node. 4) You can use default settings or customize them. 6) Go to SQL Server Management Studio, expand AlwaysOn High Availablity, expand your Availability Group, expand “Availability Replicas”, right click your second server and select “Join Availablity Group” (if it exists). 7) In new Window connect to it and click “Next” and “Finish”. 4) Click “OK” and “OK”. Adding/Removing databases to/from AlwaysOn availability group. 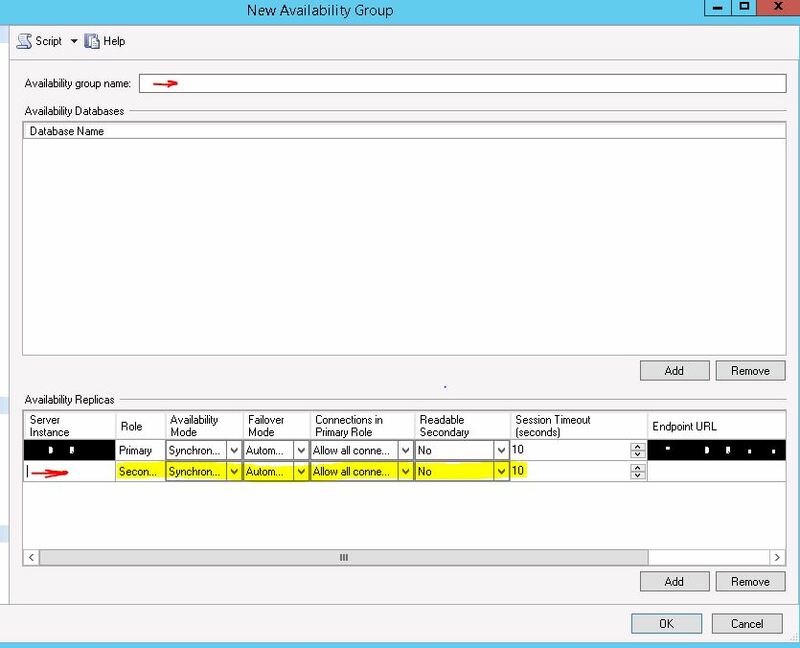 1) To add a database to availability group you select “Add database” in “Availability databases” and follow the Wizard. – You can use fully automated addition. In this case you will need network share, accessible from both servers and with RW rights for SQL Server service account. SQL Server will perform backup and restore of the database automatically. – You can use “Join only” addition. In this case you will need to perform full backup and t-log backup and restore (as when configuring Mirroring, WITH NORECOVERY) and then use the Wizard. Please note that before deleting database, that is part of AlwaysOn HA, you must delete it from Availability group. Reblogged this on learn sql team. Next Post How to create Blocking alert and generate e-mail alert.